Crazy Loulou, absolutely crazy Loulou. Loulou is not an invented character coming from who knows what fairy tale or from who knows what illusory world, he is a real man made of flesh and blood, but capable, however, of actually launching himself into a fantastic dimension, on the edge of the surreal. This year his story starts from a distance, just under two months ago, from unexplored and unknown lands for him, such as those of Argentina and the Tour de San Luis where, however, without any fear but with the attitude of the conqueror, he immediately manages to put his indelible seal with two stage victories showing off two legs already rather in ball. From there, his campaign in South America continued in Colombia where his explosive impulse, which already in 2018 had made the eyes of many warm aficionados shine, sent the fans into ecstasy at the end of the fifth stage he won. At this point Loulou, or more commonly Julian Alaphilippe, makes his way to the Old Continent and more precisely to the Belpaese, Italy, a (noble) destination designed to find prestigious scalps and try to enrich even more palmares and personal loot. After twenty days of useful activities to recover from the Australian labors and travel to the Boot, the Frenchman lands in a landscape characterized by the dust of white roads that wind like snakes along the hills of Siena. The bottom and the steep differences in height of these hills, however, do not restrain his powerful mill on the pedals: kissed by luck and moved with cunning, the tricolor enters with margin on the scenic finish line in Piazza del Campo arena of many equestrian competitions and his eighth year as a professional bicycle finally conquers his first Italian victory, in an event that fills the gap in history and tradition with the others thanks to a high rate of spectacle and appreciation by the same protagonists. Understanding how to take possession of the roads of Italy, Julian does not stop and at Tirreno-Adriatico (only five days later) comes, at the end of a sprint on the finish line in his favor of the second stage, the success number five of the season, repeated in the sixth stage by a masterpiece of tactics and power in the midst of some top-level sprinters including his teammate, as well as Italian national champion, Elia Viviani. The Milano-Sanremo is now at the gates and this impressive demonstration of strength puts him immediately at the top of the lot of favorites. You can feel the magic moment, the enchantment that surrounds the runner of the Deceuninck – Quick Step which, with two menacing calibers like him and the Veronese wrapped in green-white-red in the same team that will head to Liguria, must necessarily take on the role of formation beacon for the first monument of the season. For the white-blue team led by Bramati this is a relative problem since, after the 73 joys of 2018 and the 18 already had in 2019, they are inevitably used to having the eyes and the pressure of fans and experts on them. In fact, at the sunny start from the Lombard capital, despite the weight and significance of a race like the “Classicissima”, the members of the Belgian team appear smiling and apparently lying down, aware of their strength and of having all the papers in order to impose their law even on the finish line in Via Roma. Loulou also smiles, responds in Italian to the cries of the people who acclaim him, he is present in short. Shortly afterwards he starts with the other 174 contenders and also begins to march with a good step towards the Riviera, almost a sort of symbolic rite to leave behind the winter and welcome milder seasons. The race runs fast according to the usual script (escape of the teams invited to show off) until Cipressa, when all attackers are reabsorbed and the tension begins to become palpable. On the climb of Costarainera, however, wait-and-see prevails and there are no attacks of any kind. The only emotions, or rather thrills, give her the beat towards the Aurelia of the enfant du pays Niccolò Bonifazio: the Direct Energie rider comes down with an open tomb brushing curves and hairpin bends with dizzying folds and, pinching the right brakes, he dances with sinuous trajectories always between 60 and 70 km/h. It really seems like a crazy remote-controlled bullet that colors with a yellow-black trail the dive towards Santo Stefano al Mare. Unfortunately for him his effort is as beautiful as unsuccessful, since no one has at that time the same mix of brave-technical-knowledge of the road to be able to stand him wheel: the result is a beautiful window and about twenty seconds earned on the group that, left to vent the moustache Ligurian, recomposes itself and easily grabs him back. We arrive at the foot of the Poggio, place and moment of truth, and it is here that the violent forcing of the Deceuninck – Quick Step begins with authority. 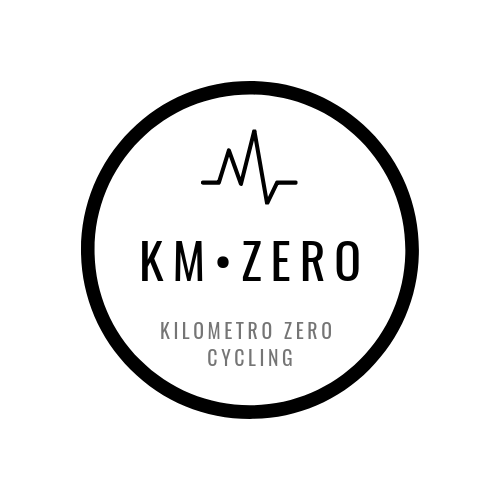 The pace is frantic and spasmodic, from the tail are in several to lose contact while those who have condition and ambitions to win climbs with difficulty to the head of the race. Julian admires the work of his team, he knows (and it is clear) that he will soon have to attack but it takes a nice casus, someone who triggers the offensive exactly as happened 365 days before with the Latvian Neilands and Vincenzo Nibali, someone in short who lights the fuse and after a while he finds it. Alberto Bettiol, first briefly with Anthony Turgis and then alone, tries the action. For Alaphilippe this is the signal: the pink outline of the Italian tenacious immediately becomes the goal to be achieved and then overcome at once. His action is tremendously powerful (42km/h the average of his forcing) and with wickedness reduces the platoon to a handful of tired men whose only purpose is not to lose his arrow-wheel. The only one who tries to answer him and seems to hold his own alongside him is an indomitable Peter Sagan, already rival of previous battles on the Poggio. For the two and the few to resist him, however, it’s already time to go downhill and here Loulou, with a move that is a symptom of great lucidity and safety despite the 280 kilometers already covered, disengages leaving the leading positions to refuse at the end of the group he has selected. Nobody going down towards the city of flowers forces the hand, on the contrary, everyone looks at and controls themselves with the intent to understand from whom the most dangerous offensive, perhaps the decisive one, can arrive soon. The balance, while from the back of the line they fall into several, is broken by Trentin who tries the shot “alla Cancellara” at 1500 meters from the white line. The European champion’s lunge was decided and he would also have a chance of success if Van Aert did not decide to sacrifice himself and his aspirations by going to close on the athlete of Mitchelton-Scott. Alaphilippe remains guardingo in the first positions but does not intervene in first person until to move, in a dangerous way, is Mohoric, another who has all the qualities to get to the end with a shot from the finisseur. Julian closes and, having entered with his fellow adventurers in the last thousand metres, begins to think about the sprint, he pulls a couple of breaths and, widening, makes it possible for others to lead the lead before the final straight. Sagan took the bait and, in a bad way, took the air and command of the race, thus precluding the possibility of winning, a possibility that, 300 metres down the throat of Mohoric, who launched a very long sprint. Loulou, then quick, took his wheel, let him vent a few dozen metres and then left in turn, angry, open-mouthed towards the centre of the road, towards glory, towards his first classic monument because no one, not even a very good Naesen and a very good Kwiatkowski, managed to overtake him. The exultation is the expression of an uncontrollable joy that soon turns into tears and emotion between the embraces of his masseur and his teammates who, as happy as him, arrive in the parade showing the incredible unity of a team that today knows only to win (19 seasonal successes and successes in all four World Tour classics so far played) but that triumphed with its own rider in Sanremo for 13 years. 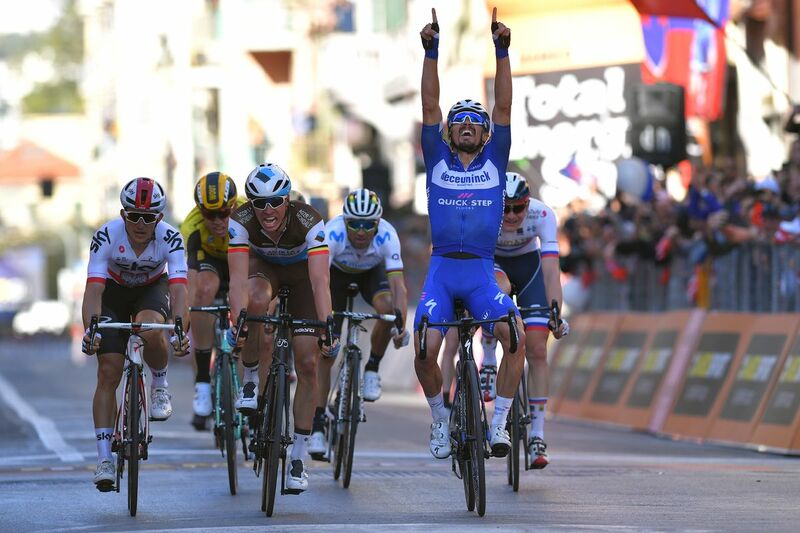 For Alaphilippe is inevitable on the podium the shower of champagne, a liqueur that in the last 15 days Italians has managed to savor four times finally delivering himself and their businesses to history. Because the native of Saint-Amand-Montrond is carving out a place among the greats of this sport not only for the weight of triumphs in itself as that of Sanremo but also, if not especially, for the ease and class with which he performs and is now able to repeat himself more and more often, whether in the United States or France, Italy or Argentina, making real dreams and opportunities.